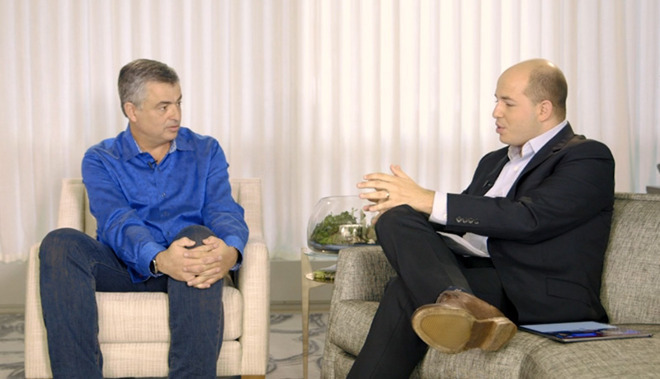 Continuing to milk its October interview with Apple SVP of Internet Software and Services Eddy Cue, CNNMoney released another snippet on Monday covering the iOS 9 News app, a news aggregator Cue claims is not being censored in China. According to Cue, the News app is not only an asset for iOS users looking to surface relevant news stories, but also serves as an easy-to-use —and monetizable —distribution platform for publications, CNNMoney reports. With technology companies like Facebook and Google entering the fray with their own news aggregation systems, some organizations are concerned about losing control over distribution. Cue, however, says Apple is only interested in delivering quality content to end users. "We benefit by creating a great application on our devices. And we think this is a really, really important application for the world," Cue said. He added that Apple does not currently have plans to employ journalists directly, assumedly to curate News app feeds. The company employed a similar strategy for its Apple Music product, hiring DJs and music experts to improve content discovery. Apple is not looking for a payday with News. Cue reiterated that publishers can keep 100 percent of revenue for ads they sell, or throw in with ads sold by Apple and take a 70 percent cut. "In the case of Apple, it is really simple. We're not trying to get into the economics of it. As I told you, you keep 100% of it," Cue told CNNMoney's Brian Stelter. "What we are trying to do is build the platform for the news organizations to leverage." Cue went on to say News represents a unique opportunity for local publications that might not have the resources to develop their own apps or distribution tools. Instead of starting from scratch, these smaller organizations can jump on Apple's digital medium to achieve broader circulation at a fraction of the cost associated with print. Stelter also brought up News inaccessibility in China. Shortly after News debuted, it was discovered that Apple was actively disabling the app for users living in mainland China. Apple offered no official comment on the matter, but some speculated the company was kowtowing to China's strict censorship policies. According to Cue, Apple is not facing pushback from the Chinese government. "We know how to work in China. We've got app stores. We have got our retail stores there. We launched Apple Music in China. We have a great working relationship in China," he said. "We follow the laws of the countries that we are in and we'll work with the local news organizations and the international news organizations that are available in China." Apple is working on a News app for the Chinese market and hopes it will launch soon, Cue said. Stelter said he was surprised to hear Cue extol the virtues of journalism considering the company is often the target of negative headlines based on rumors and speculation. "We appreciate great journalism more than rumors, certainly," Cue said, grinning. "But again, journalism is very, very important and we wouldn't trade it for anything in the world."